One of my favorite dinners is cabbage rolls. I was really craving cabbage rolls last week, so I decided to make some. The only problem was there was no way I was going to have time to roll them with my two year old running around under foot. I have to stick to simple meals if I want to keep my sanity! Enter: unstuffed cabbage rolls. 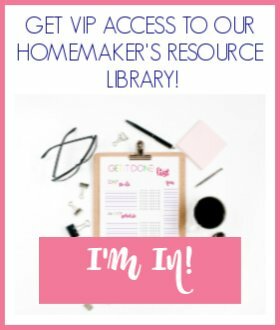 I get the same delicious flavors of a cabbage roll with much less prep! Now, my husband hates cabbage, so I don’t get to make this meal very often. I also found out that two of my three children don’t like cabbage, either. That’s okay, the toddler and I ate it all up! With this recipe, you do not have to pre-cook your rice, so that takes another step off and saves even more time! I love that! I add in my tomato mixture at the end of the cooking time and just let it warm through. The sauce has a sweetness that balances with the cabbage so well. Another great thing about this recipe is that it is cheap. This is peasant food! It may not look like much, but it is tasty and filling. 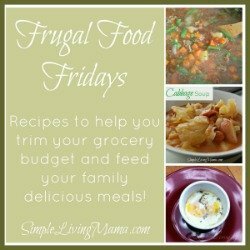 It is the perfect frugal meal! 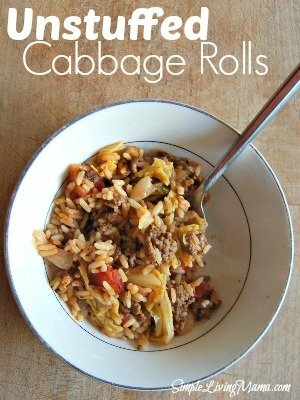 An easy recipe to get all the flavor of cabbage rolls with a lot less work! Cook beef, onion, and seasonings in a large pot. Drain grease and return to pot. Add cabbage and stir until it begins to wilt. Add 1 cup rice and 2 cups broth, stir. Put lid on pot and let cook for 20 min. until rice has cooked. Meanwhile, combine diced tomatoes, brown sugar, and ketchup. Once rice has cooked, stir in tomato mixture and heat for 10 min.